Chef Tadashi Tagami bases his culinary philosophy on the foundations of the delicate and subtle Japanese cuisine “kaiseki”, traditional style that is served in small portions elegantly prepared, always with seasonal products of supreme quality respecting their flavours. “I do not do fashion cooking; my kitchen is refined and clear, adapting the technique to each product. 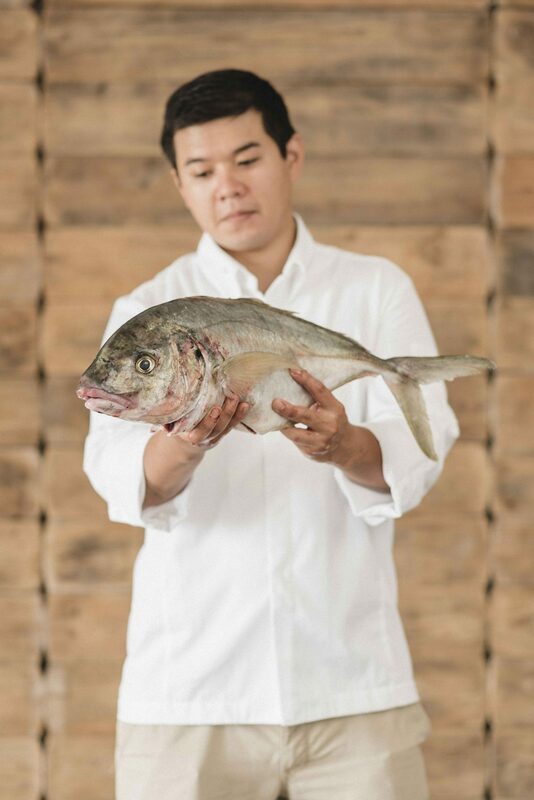 We want to flee from the commercial and the standard, even preparing the sauces in the ancient Japanese way, using the different parts of the fish itself “. Abikore’s gastronomy is very changeable, as much as it demands the temporality and the freshness of the raw materials. In the menu there are dishes of singular praise to the raw material combined with other more elaborate and sophisticated, in line with contemporary haute cuisine and the West-East fusion. With its fine Japanese technique, Abikore presents exquisite cuts and compositions made with the best fish from the Canary Islands and Spain. Incorporating high-quality meats such as the Galician blond and the Japanese wagyu, with the tradition of the Japanese crust and with subtly treated vegetables. In order to preserve the flavors, the textures and the juices of the raw materials, that are the primordial element of Abikore’s kitchen, a great part of them is worked in the embers, specially designed to fit Tadashi Tagami’s philosophy as well as the greatness of the products used.